If you have multiple Social Media accounts for your business but just not enough time on your hands to log on and update all of them, you might want to take a look at a great tool found at: http://www.ping.fm/. 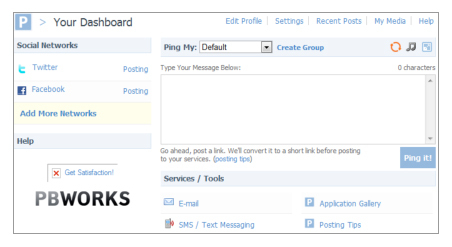 Ping.fm is a simple and – most important – free service that helps you keep your social networks up to date. After signing in, you have the option to add your Social Media channels and passwords. Just type in your message in the message box and you are done. Plus, Ping.fm has a lot of extra features like a Mobile / iPhone App and different toolbars to make your Social Media profile updates a breeze. 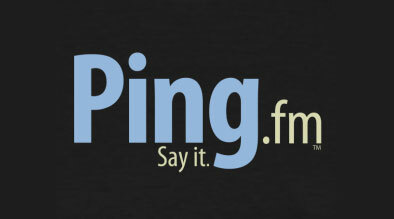 Ping.fm might not be the tool for everyone, but it is definitely worth a try. Without a doubt, it great tool to socialize your marketing messages to a large number of people or social channels, and with the least amount of time possible. I thought this was really neat at first and would help me manage all my twitter & facebook accounts, but it only allows you to host one of each. I work for a resort property with different locations and each peoperty has their own facebook and twitter. Do you know of a application similar to Ping that would let me be able to create a group for each property with a twitter/facebook? So i can go into one group post something that will go to only that properties twitter and facebook and then do the same for the other properties? Have you tried hootsuite.com? I think that this might be what you’re looking for. It allows you to update multiple Twitter, Facebook and Linkedin profiles from one place. You can also create logins for individual properties, allowing them access only to their own profiles. Hope this helps!